We understand that when you are new to searching for a TAEKWONDO DOJANG (or Martial Arts School) a lot of the information can be overwhelming. Discovering the RIGHT Dojang is important to someone who is new to Martial Arts since who and where you learn and train from will impact the next chapter in your life. 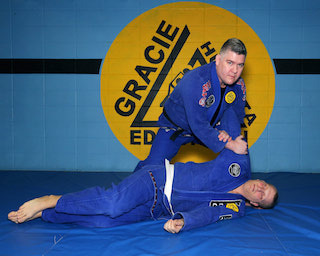 Our founder is Grandmaster Min and he has the highest Dan (rank) in Canada. Grandmaster Min has devoted and committed his life to Taekwondo. The Masters/Instructors that teach under him also believe the same principles. Our leaders that teach under Grandmaster Min are either Masters or high ranking Instructors with many years of teaching experience. We teach World Taekwondo Federation style of Taekwondo, founded in Korea. All of our Masters/Instructors are Kukkiwon certified. All of our Black Belts are Kukkiwon certified. Our students and parents of students are valuable members to us. We love what we do, enjoy the presence of each and every member of our Dojang, and believe that we have the best members of any Dojang! We value our members and that shows in our Customer Service and our billing process. Rather then sign you up to a long term commitment, we do monthly billing, with regular reviews of our process. Are you getting the result you need, are we seeing the growth and commitment required to achieve the personal development possible from our endeavour. Whether your life has always been fantastic, or you are looking for a positive change in your life, Martial Arts at the RIGHT Dojang can be the answer to what you're looking for. Taekwondo offers an incredible work-out while learning techniques in Self-Defense... really what is cooler than that?! You will begin to feel a new kind of confidence, laugh more, appreciate simple things more, and just feel great about yourself. Taekwondo offers a mind/body connection that when you train physically, you feel great mentally. You will feel more energetic and alive in a way you may have not felt. We are a family Taekwondo Dojang that treats its members like family. We offer a community of Martial Artist who are open-minded, welcoming, and encouraging. WE LOVE TAEKWONDO and embrace the Martial Arts lifestyle. When you walk into our Dojang you will feel the energy that comes with each and every class. TAEKWONDO is a way for us to practice the self discipline, leadership that inspires us to dig deeper to be the wonderful person each of us can be. When we focus. We don't just talk about ANTI-BULLYING to our kids....we practice it, talk about it, and encourage it. For many people Taekwondo has saved their life....shaped them into the people they are today....has helped them reach their potential in life. We could go on and on about how much we love and respect Taekwondo. We encourage you to rather come check us out and see for yourself. 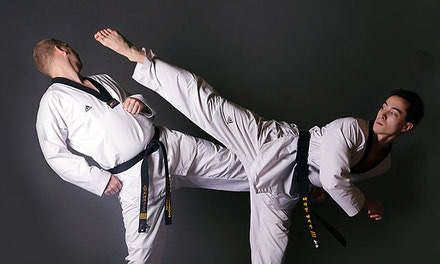 Taekwondo is a KOREAN Martial Art and has originated and developed from Korea. Taekwondo was historically used to defend land and family from invaders. The characteristics of this Martial Art were developed from the practices of Korean's over the past 2000 years. Any form of Taekwondo from associations not tied to Korea is not Taekwondo. Taekwondo is governed from the "Kukkiwon" under the World Taekwondo Federation. A new person may say..."I just want to learn something new and get in shape, I don't know how this matters..." but as leaders in Taekwondo we think that your choice of school is the most important thing you may do. We feel the money you put in your training is valuable therefore it should be at a legitimate Dojang. A Dojang that has the above affiliations will also be a Dojang with up-to-date information, a Dojang with grass roots and a history that will make you proud to be a member of. The values and human qualities of your Master/Instructor is very important in your decision. A Dojang that uses RESPECT as the foundation of everything they do will be a smart choice for you. We are all human beings...capable of compassion, understanding, excitement, genuine, and motivated. The Instruction you choose will affect the training you do. 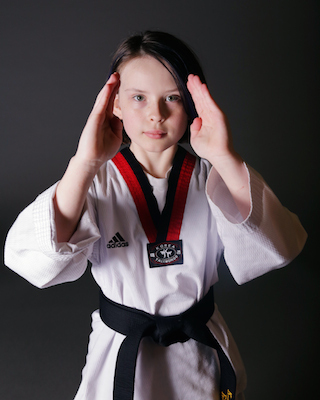 Often times, a Martial Arts Master/Instructor serves as a role model for you or your child. Make sure your Master/Instructor is kind, knowledgeable, and experienced. Making sure that all and any information is available when you ask is important. Hidden fees are simply not cool. 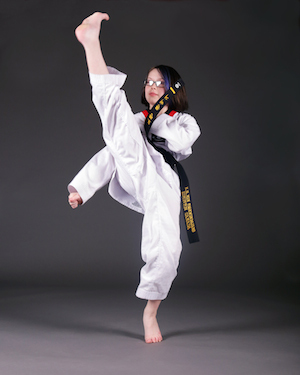 An important factor in Customer Service is being serviced by someone who is passionate about Taekwondo. Do they believe what they train in? Knowledge and passion are important to being great leaders in any Art. Similar to affiliation but so very very important to your training. Black Belts can be bought at stores or ordered online. Always ask..."where did you get your Black Belt from?" And don't be fooled by long drawn answers. Simply, your Taekwondo Black Belt is a thing of accomplishment. It should be granted by your Master/Grandmaster under the KUKKIWON. There are certificates awarding this amazing accomplishment from the Kukkiwon in Korea. This is a UNIVERSAL certificate/document proving you are a Black Belt. In the event you have to move anywhere else in this world, you can always walk into any of the hundreds of thousands of Dojangs that are also governed under the Kukkiwon and hold your rank as a Black Belt. Without this, there is no legitimate proof that you are a Black Belt. Another important things to understand is who you are training under. Do they have all of the right credentials? Do they also have a Kukkiwon Black Belt?